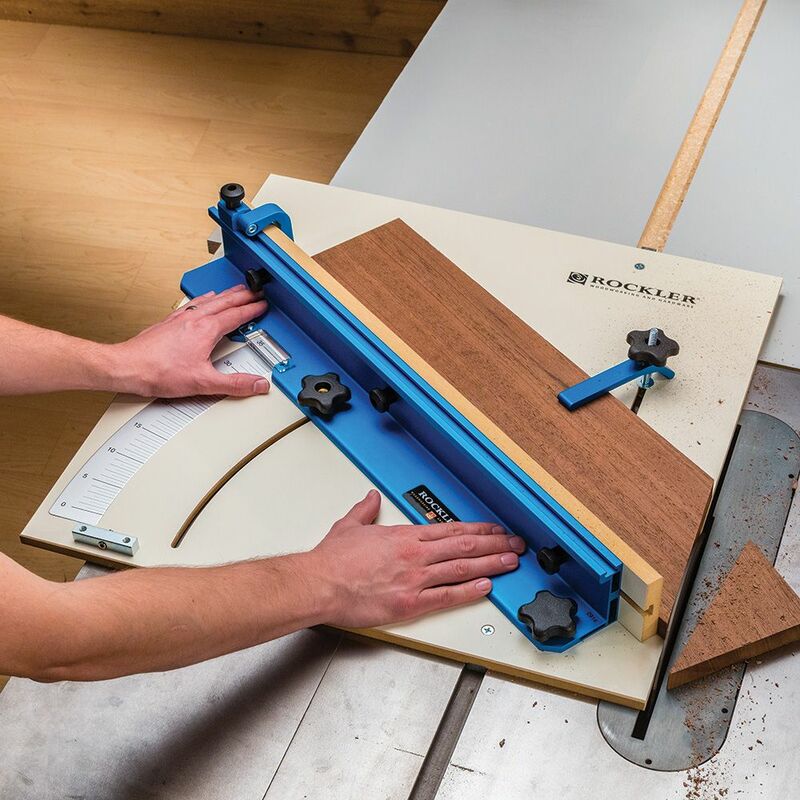 Cut precise miters and crosscuts while enjoying a spacious smooth-sliding table and large-easy-to-read scale. Not compatible with DeWalt 7491RS saws. 3/4'' of the platform should be supported by your table saw. MDF Table Measures: 1/2" x 23-3/4" x 23-3/4"
What a great jig to have in my shop. It is extremely accurate and easy to use. I can cut several pieces exactly the same. Just started using it .. i love it. Great addition to the tool box. Made it easy to clean up the edges nice and straight! I hated cutting miters on the table saw until I bought this! 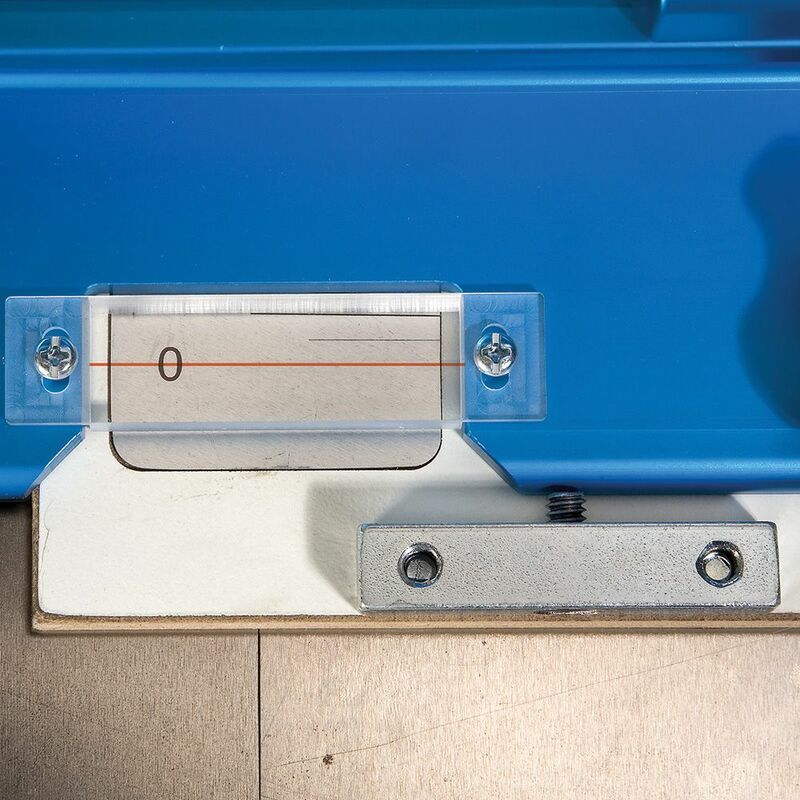 The stock miter gauge was difficult to set and easily got out of adjustment. amazing how well it performs. Makes the cuts so much nicer. Works great on my 1947 Walker-Turner. Once calibrated, makes perfect crosscuts and miters. Also much lighter than my previous cc sled. Love it! This sled is higher qaility than I thought... fence is made from very sturdy aluminum and the clamp seems to hold the piece firmly to the sled.. I received my Cross Cut sled recently and I love it! It's well made and very accurate .I made several Miter cuts of varying angles and checked them. They were all spot on. I couldn't make a better sled than this one . For the time money I'd have to spend makes this sled a real bargain. The sled is well made and is cheeper than I could build one. Very nice crosscut sled for the money. Set up was easy. Very accurate. sled was easy to set up. Be SURE to have an accurate square available. Just cut templates for 12 and 18 segment pieces for turning. they came out perfect!! The angles on these need to be nearly perfect if you want to glue them up at one time. I wish I would have bought this years ago! I am impressed by the build quality, accuracy and ease of assembly. I needed to square up the Zero but that was easy enough with the supplied tools. My first experiment was to cut some scrap knotty pine furring strips into an octagon and the pieces fit together with zero gaps on the first try (The wood was not jointed, planed or otherwise trued). 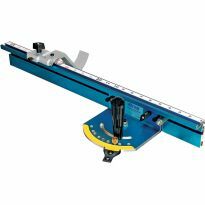 The miter settings and wood hold down toggle are very secure and it glides easily over the saw deck. The miter track glide has spring assisted tensioners, which fit nicely into the channel but can allow for some slight torsion (inaccuracy) if the sled is pushed carelessly. I am very pleased with this after having built several of my own. 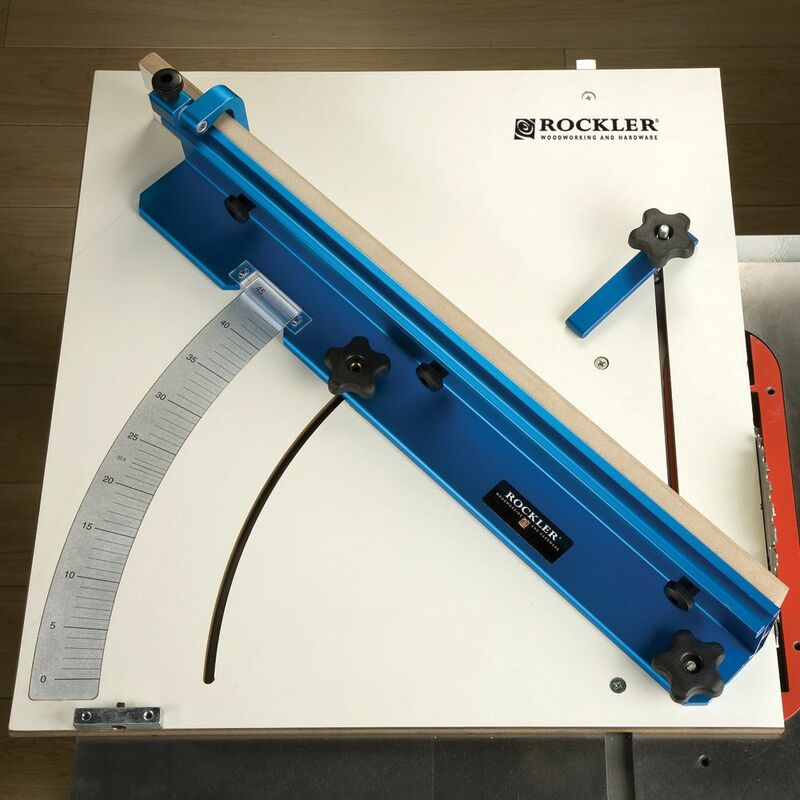 I recently purchased this Rockler CrossCut sled. It finally arrived the other day and I assembled every thing ... did the first pass to establish the "zero" cut and then other things in life took over. Well today, after coming home form work, I decided to "square" it up. Now I don't have a fancy TS, but I have a Delta 36-725 TS and it is setup pretty good. I took a piece of 5/8" plywood and made a 12" square, then proceeded to use the 5 cut method. I should back up a bit and say that I have yet to make ANY adjustments to the sled. Only the first pass cut. So 4 cuts ... then the 5th cutting off somewhere near a half inch so my A & B marks would remain on the cutoff. I take a measurement with my digital calipers at "A" .. .5200" ... Next at "B" ... .5200"
Dead on perfect! The only thing I had to adjust was the indicator lens, as it was not on zero. My next cut was a 45 deg. and yep... as far as anything I can measure with... perfect. I would highly recommend this sled to anyone who needs one. I know making your own is "art". But i want to spend more time making actual projects than .. having to make my own sled and maybe .. just maybe having to make several attempts to achieve "perfect...let alone waste of materials. Almost ready to use right out of the box. Accurate, sturdy, love it. I use it on a Rigid 10" portable table saw and could not be happier with how it works. Hold down clamps and adjustable fold down stop are great features. Easy to set up and adjust. Performs as advertised. Makes perfectly cut picture frame sides. After the initial set-up, I cut a number of angles and everything was dead on. I have not used it on a project yet, but do not expect any issues. This works great, I wish that I would’ve ordered it a long time ago. I highly recommend this addition to your shop. 5 stars for sure! This is a great addition. Accurate, adjustable, and easy to store when not in use. Better than I was expecting. I rarely use my miter saw any more, this sled cuts better miters. I love this sled! It is very accurate and durable. I'm cutting segmented bowl segments perfectly! A wonderful and easy to cut perfect miter joints. It enables me to cut small pieces without getting my fingers close to the saw. Very well made. I have Osborne and Incra 1000HD miters but this is my favorite. I do think the drop off accessory is a bit overpriced. 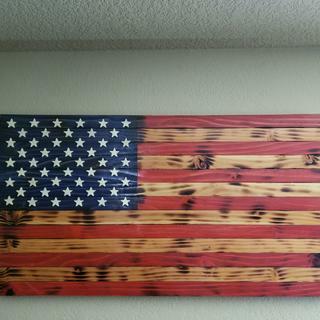 I made mine from 1/2” plywood I had, I might purchase Rocklers if it goes on sale. Why I selected this rocker tool. Set up was easy.I have only used it once and got great results. Great product and it does exactly what it is designed to do. I find it very easy to use and it makes curate cuts every time, i'm very happy with the product. Great quality. Easy to use. Immediate setup. 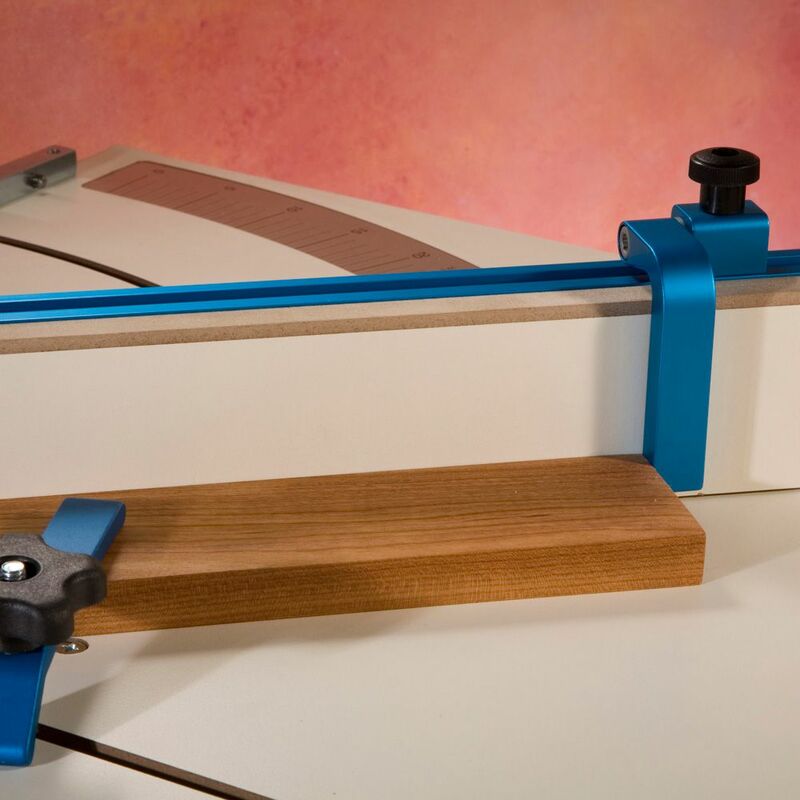 This jig cuts awesome 45's for things like picture frames, etc. with the plastic strips it slides very easily on saw. the magnifier on angle guage is very nice to have. the locking tab to hold work makes it safer to use on small pieces. 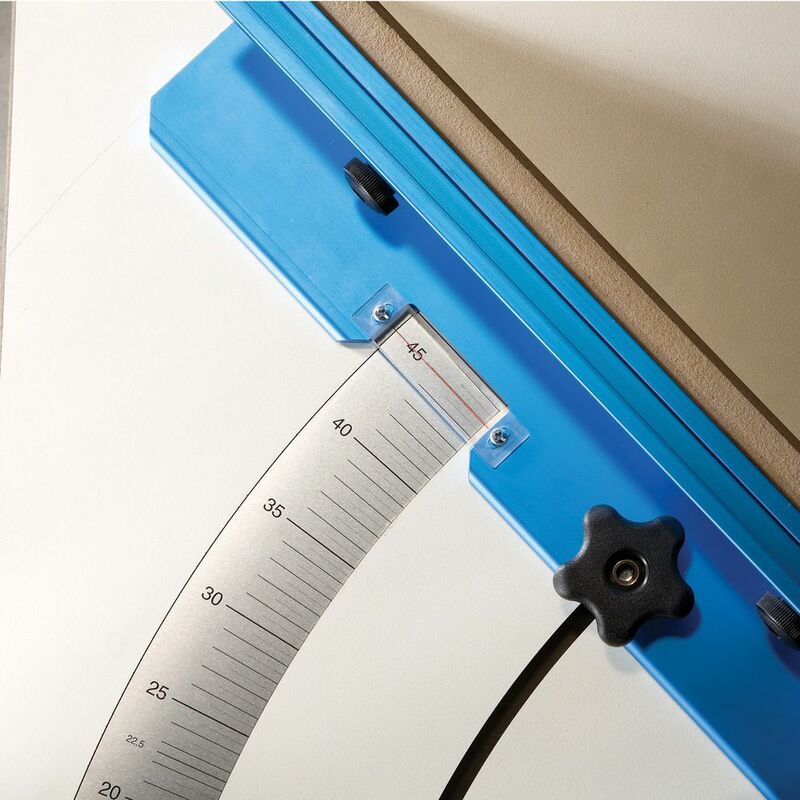 the locking tab allows for more accurate cuts. Wow very easy to setup! and way easier then making one yourself. Just what I needed. Small parts sled next. Fantastictool, works great on my Saw Stop saw, one of the best tools I’ve purchased this year. 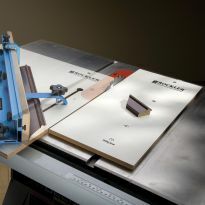 Makes perfect bevel cuts -- no slippage. The flip-down end stop helps make multiple pieces exactly the same length. It is so easy to set and repeat the length cut to make perfect corners for the picture frames I make. Saw a demo on YouTube? Quality item. Just what I needed for my shop!! I intend to use it. Otherwise i would not ha e ordered it. I definitely love the aluminum fence that allows me to cut precise angles. Makes this crosscut sled more versatile than a traditional home made fence at a reasonable price. I do not have a minor saw and I hope this will help me. I bought this cross cut sled on sale because it is such a great deal. I trust the quality, so I don't think I could have built a more accurate sled witout the hassle for the money. First time using a sled, wanted a professionally built sled. Didn't feel like building one, so I bought it on sale. I needed to step up my table saw game! This sled will go a long way towards making that happen. To be able to make cuts as accurate as possible. I need a crosscut sled and I’m to lazy to make my own.. I’ve heard good things about this one. I Like Rockler products and the angle feature of this sled with an accurate numbered guage is a nice feature. I have a use for it and I like the design. I have been dissatisfied with ones I have made. Christmas present for my husband who is wanting one. Was on sale, My home made sleds were not working as well. good deal and a much safer way to cut parts. To rip boards at angles other than 90 to fence. Needed one to make safer cuts on small work pieces. Difficulty to make a similar sled. The ability to use it for crosscuts and angled cuts looks impressive. needed this jig, and saw how easy the Rockler jig was. Chose this one over Dubby as I liked the fact that it was a rearward push and hands were behind miter fence instead of on top. And aluminum fence and durability a definite plus. I can't build it for that price and I trust Rockler! I make a lot of picture frames. Hoping this will help speed up the process and improve accuracy. I purchased the sled, but found that the miter bar has too much slop. Adjusting the ball bearings on the bar helps only so much. In fact, the bearings move very little. The bar never tights in the slot. Not sure if I'm adjusting them right. BEST ANSWER: The springs that hold the bearings in place, are too short. There is a YouTube video by David Stanton addressing this issue and a great fix for it. Why would Rockler not make this update Fix? Or at least post the fix so customers would be happier with the product. Will this item fits sawstop jobsite? why is this not compatible with the dewalt 7491rs? My porter cable small 10 inch saw only has 6 inches to the left of the slot, but has an extendable table on the right side of the blade. if the sled was "opposite hand" it would be better. I am considering building out the table on the left side to accommodate the slide, but not an easy task. Has anyone done this? BEST ANSWER: I did exactly that and bolted my new extension to the left. worked just fine, made sure it was level by using straight edge..great product...I have had no problems with not working, I set up just as they said checked for square and when set to 22.5 degrees made my circle perfect...Hope this has helped you. Has anyone attempted to build an L-shaped extension to the fence to support longer stock? If so, how did it perform? The miterslot is 6" from the blade. Will the sled work for this saw? BEST ANSWER: WHEN you put the sled into the slot, assuming it fits the slot, you run the sled through the blade and it cuts the sled to the exact dimension for your saw. This gives you a zero tolerance cut which is ideal. You might also consider buying the matching cut off sled (not the actual name) that catches the cut off section so that it doesn't splinter when the cut is complete, giving a much cleaner cut. will this sled work with a sawstop contractor saw? 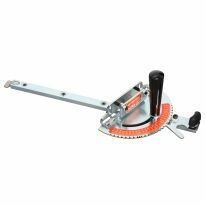 Has anyone tried using this with your table saw blade at a 45 deg angle? For cutting beveled miter cuts on crown moulding? Will this fit on a Hitachi c10rj? It shows the flip stop and a hold down clamp, are they included? BEST ANSWER: Yes, they are included...this product works very nicely. Yes they do. It's a very nice sled. Does it work with a mskita table saw? I found this link when I did a search for "Kobalt Table Saw Accessories". How well would this work with a Kobalt? BEST ANSWER: First, I’m assuming you are talking about the Kobalt 10” table saw. I believe that is one of those portable, job site saws. This crosscut sled works very well and is extremely accurate. However, it is quite large and best used with the optional drop off table to prevent splintering at the last second. The table of your saw seems to be rather small and might not provide the necessary support. Check all dimensions before deciding. I have a DeWalt 744 contractor's saw with a 27" x 19.5" table top and not a full size saw. Will it work with with the saw? BEST ANSWER: The concept for this sled is great. However, be sure that the track for the slide will fit your saw. The slide comes with rails of 23/32 inches wide. The rails were too large for my saw so I had to make my own rails. There apparently is no standard for track-rail sizes so use caution. Does it work on a Dewalt 745 table saw? 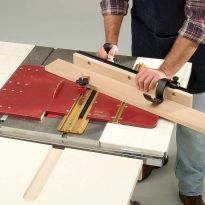 BEST ANSWER: The cross cut sled should work on any table saw with slots or ways cut to match the sled. the right portion of the sled is stationary, and is used to level the table for the wood going thru the saw. The left side of the sled should move freely after the fence is clamped to the desired angle, and the stop and wood hold down clamp adjusted. I have made hundreds of small wood blocks very accurately for my hobby of making segmented bowls on my wood lathe. As long as the miter slot is the right size. will this fit and work on a craftsman 10 inch table saw ? How compatible is this sled for bevel cuts? BEST ANSWER: My crosscut sled was very accurate. I used several truing devices to measure the angles and all seemed to be right on the money. I needed the sled to be very accurate for some jewelry boxes I was making that had many small pieces and multiple angles on each piece. Works great on small pieces of wood and keeps your fingers away from the saw blade. Your left leaning blade needs to be fixed first if you want accurate cuts. Turn the saw table upside down and adjust the saw trunnions to true up the blade. What is the cross cut capacity? BEST ANSWER: I'm unsure what you are looking for as an answer to this. The sled is 23 3/4" wide so anything longer than that will be hanging off the edge. The capacity then becomes a question of how dense the wood you are cutting is because more dense wood will cause more leverage in a shorter distance as it hangs over the edge. That combined with whether you clamp it down using the built in fence or just use your fingers to hold it in place. You will essentially be able to cut a longer piece of light wood that is clamped at the fence as compared to dense wood that you are holding in place with your fingers. The distance from the fence set at 90* is right at 19". You should be able to do that but its going to depend also somewhat on the width of your table saw. I bought this sled and used it on a Ryobi, which I later sold. I have replaced it with a Rigid. The sled no longer is wide enough to reach the blade on the Rigid. 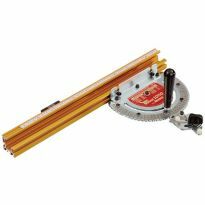 How can I adapt the sled to my new saw? BEST ANSWER: the miter bar sits in a routed groove; relocating the bar is not a good approach. my solution would be to rip off a hard wood - maple suggested - strip at least 2x the width needed. glue that strip onto the router sled and then recut. be aware - different saw blades have different kerf widths so presuming you've overcome the large distance issues, switching blades you will still encounter small differences sled-to-actual-kerf. Try unscrewing the glides, reposition the sled to where you want it, mark the areas where the glide now need to be and screw them to the slide. Good luck. 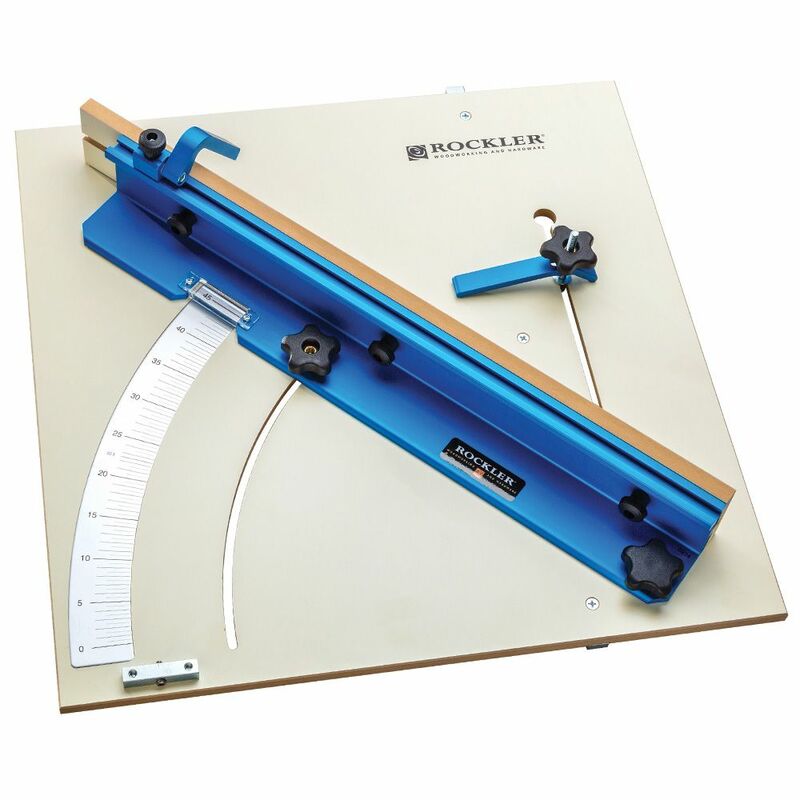 im sure this is a good miter sled,,but can anyone tell me why they chose this over the incra which is just 30.00 more dollars than this sled? BEST ANSWER: To be honest: 1. I didn't consider the Incra sled and 2. the budget was already tight. I don't that much work in the shop :-( (yet :-)) to spend the extra. how long a board can i crosscut with the stop ? BEST ANSWER: I have crosscut 6 foot boards. No longer than that because of the limited space in that part of my shop so if you want to try longer I am not sure. Six foot was easy to handle. Will this fit the Dewalt 7480 contractor saw? BEST ANSWER: Doubt it. Great jig, but didn’t work on my porter cable contractor saw. It worked great on my bigger craftsman table saw. Is there a chart listing the table saws that this is compatible with? i have a 10" skil table saw will this sled work with it ? BEST ANSWER: I dont see any reason why not. I have an old 10" Craftsman saw and it works great. 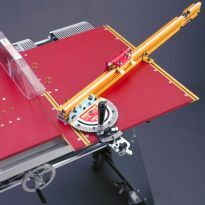 What is the maximum width that can be cut with this crosscut sled? BEST ANSWER: The size of the table saw and the length of the wood to be cut will determine the width. I have a Delta Contractor saw. I would feel comfortable cutting a 16" wide board that is no longer than 4'. The problem is controlling the work piece. You have to hold it down on the saw top and firm to the fence If you have outrigger support, you could do longer. The 16" width would put the piece close to the lead edge of the sled. If you use the built in clamp, then 10" would be the width on a crosscut. The width would decrease if you do any mitering. I used the sled when I made a ukulele. I got the precise cuts I needed for fit. So most of my cuts were with smaller wood. I did set it up and measured things out and felt that I could cut the sizes that I stated above. Will it work with the riving knife and blade guard still attached. I don’t want to have to remove it everytime. I built my own sled and I have to take everything off to use it - Nick Ferry’s sled? BEST ANSWER: I have a Bosch 4000 - My riving knife and guard are one unit. I cannot use them with this sled. As I see the 4100 (the knife and guard can be separated) you can keep the riving knife in place. At least it looks like you can to me. BEST ANSWER: I doubt it. I would not want to try to make that modification. BEST ANSWER: I dont see why not as long as it has a slot for the rail to slide in. However a bigger table top with a longer slot would be much more handy as the sled may over hang and naturally tip downward. I have a table saw slot that didn't fit the location on the sled. I had to modify (relocate the rail) and that took a little work, but even a novice woodworker should be able to handle. All in all, its one of the best purchases I have made. Its extremely handy. Will this work on my pro shop jet table saw? 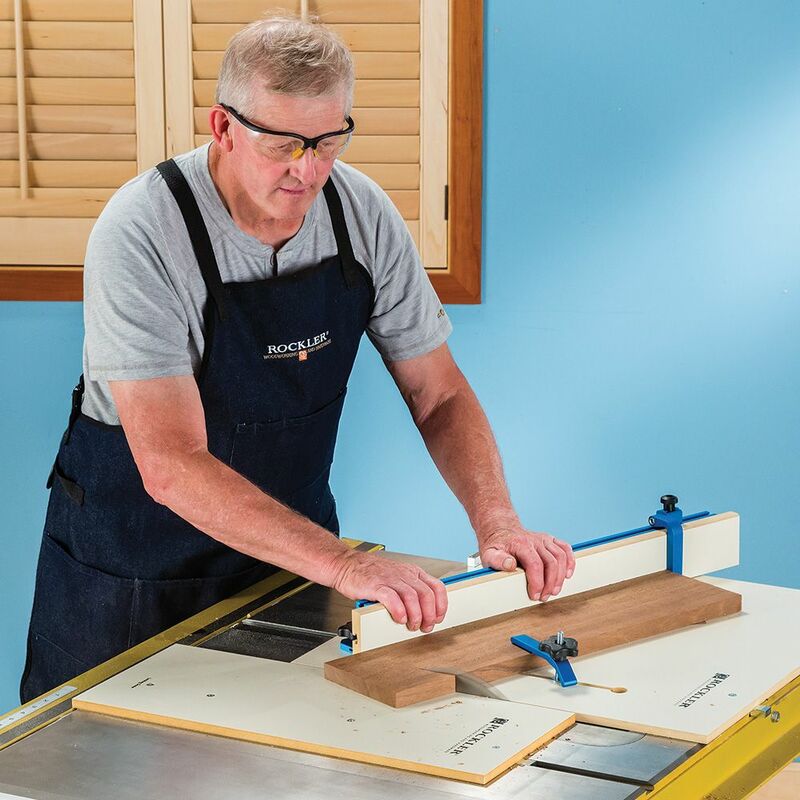 Does the crosscut sled fit on the Ryobi RTS 21 table saw? BEST ANSWER: I don't know. I know that it fits on a full sized JET table saw. Hi, I just got my crosscut this Friday love it but I find that the Adjustable stop is not working like it should.I find that if I but something against it and tighten it down it movie the ever so slight to the right which moves the peace I'm going to cut very annoying. Is Faulty or am I doing something wrong When I do tight it down its almost like it's not sitting flush and then jumps to sit flush if it makes sense ? BEST ANSWER: Mine does the same, that thing is pretty much worthless. I just clamp on a block for a stop. Otherwise, I love the sled!